The Harbor Ring is calling on the MTA to host public input sessions in both Brooklyn and Staten Island as part of their ongoing pathway planning study with Parsons Brinckerhoff. We want them to make a concerted effort to engineer and budget for this path during the study as a much-needed investment into New York City’s future transportation needs. We can’t wait to see you there! 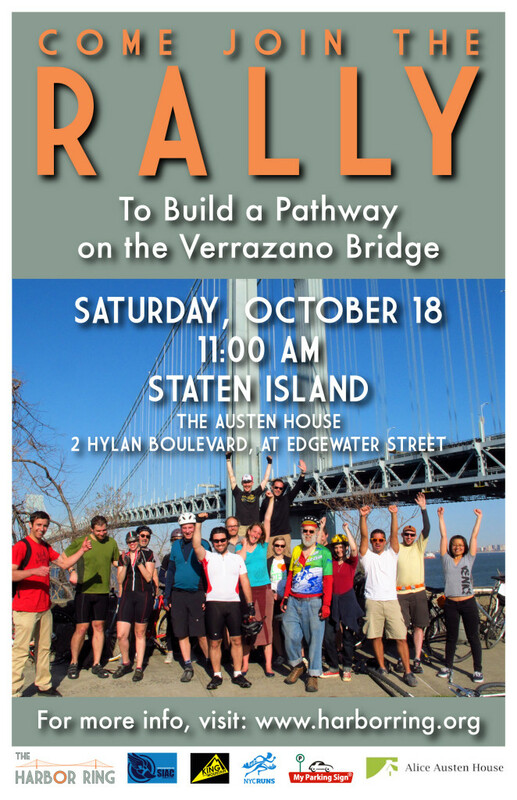 Come show your support and tell the MTA how a Verrazano Bridge path would provide HUGE benefit to NYC’s transportation capability and the Harbor Ring route! anything going on on the Brooklyn side of the VZ bridge on 10.18?